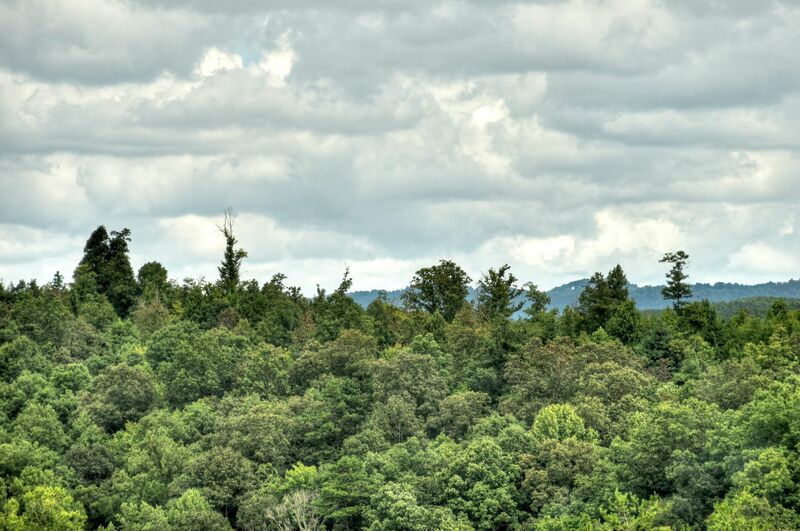 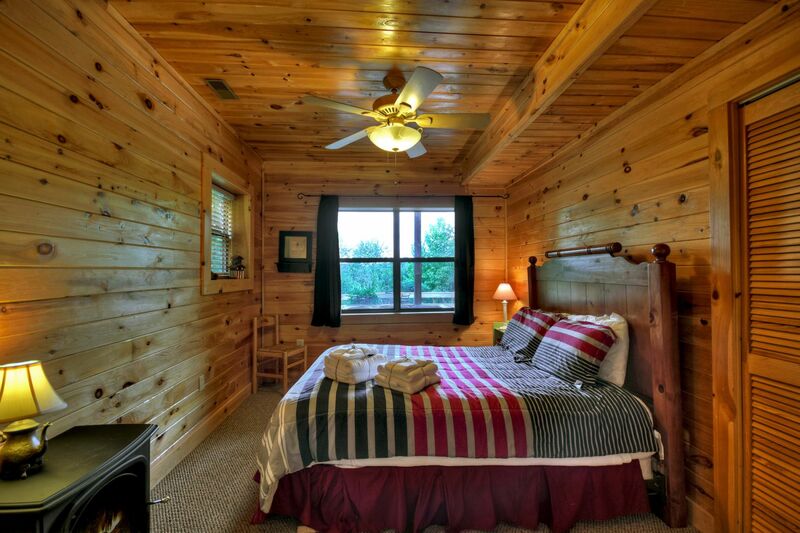 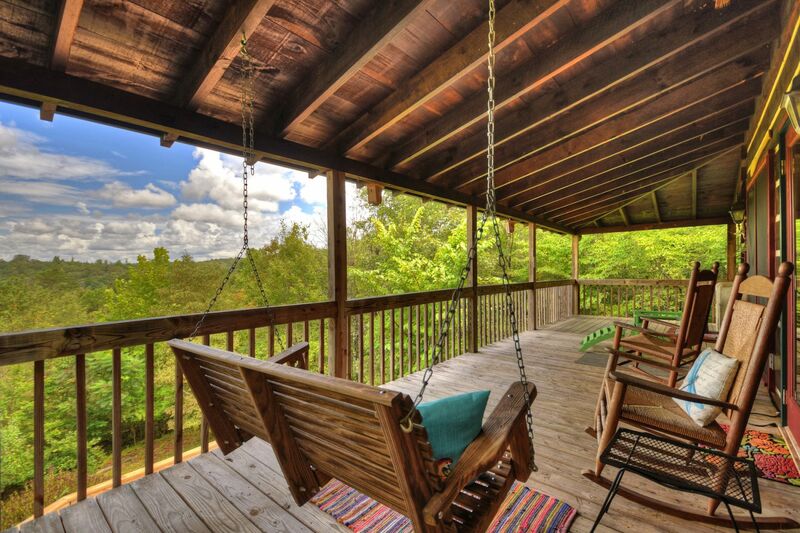 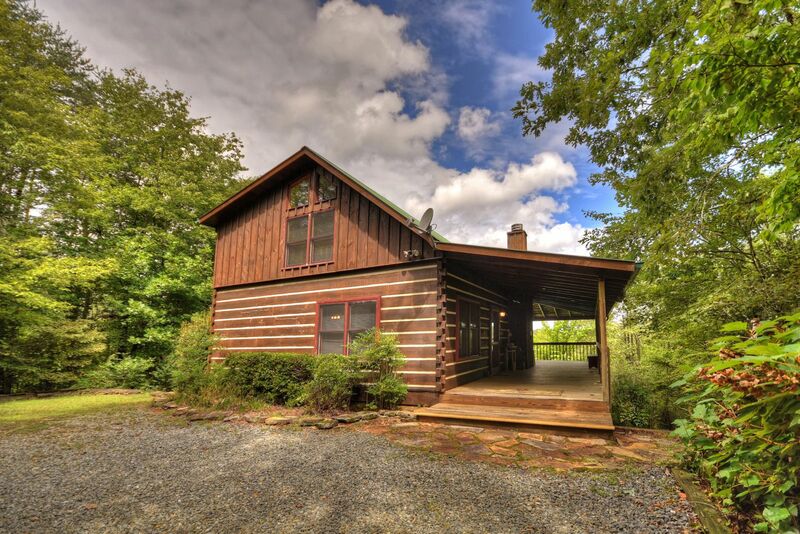 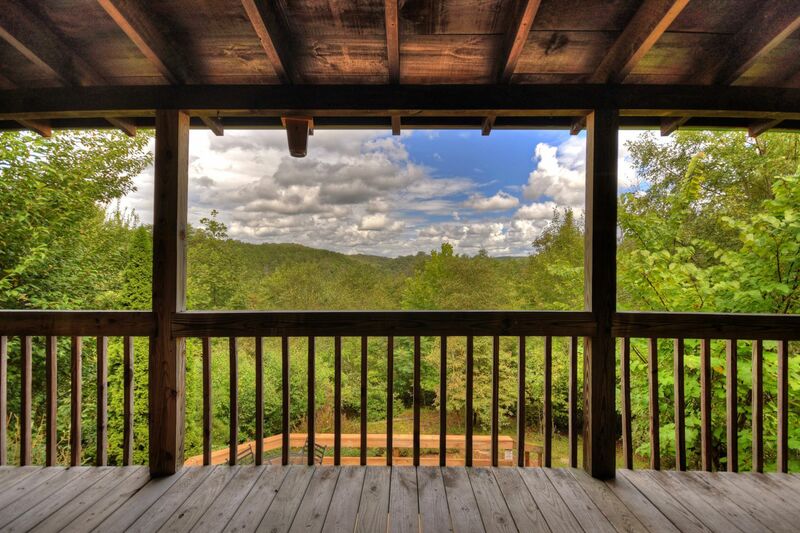 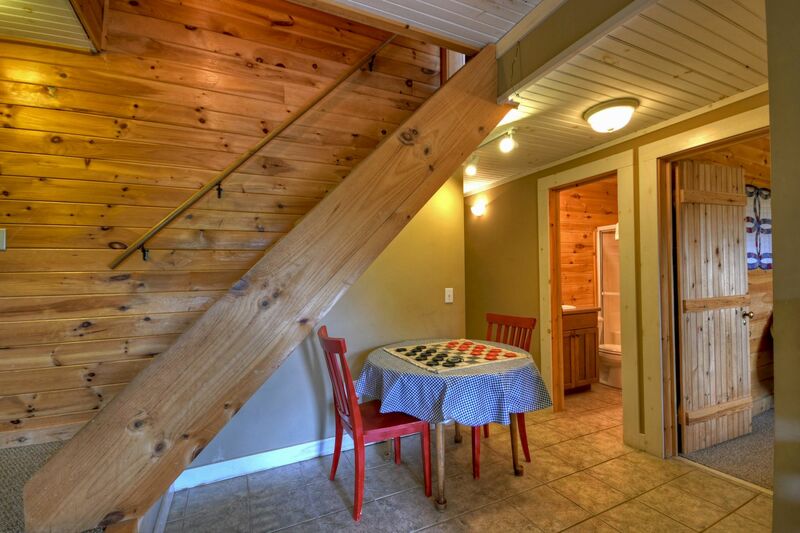 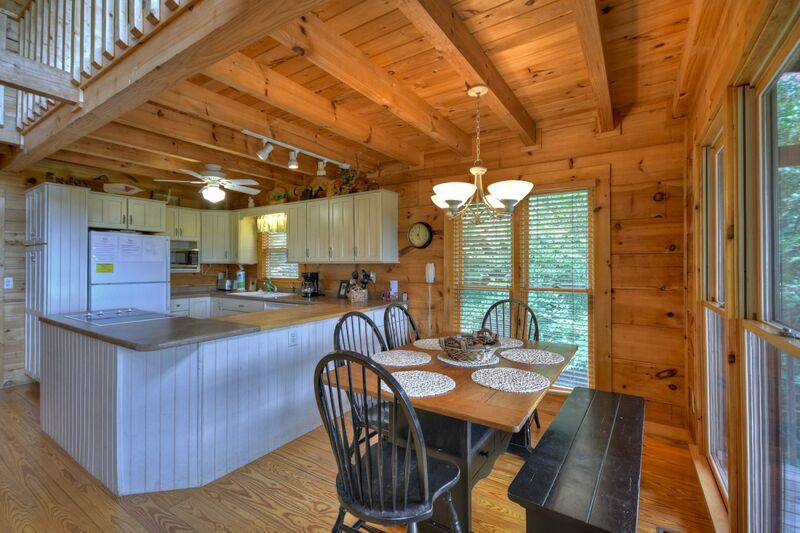 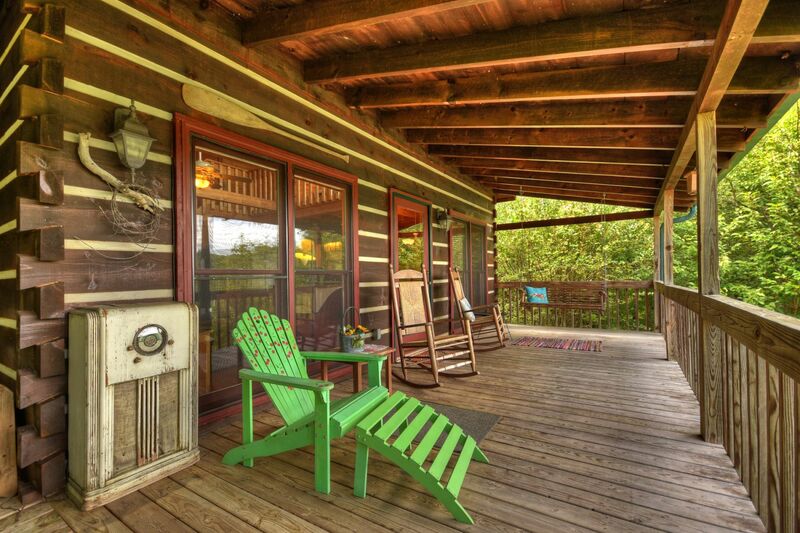 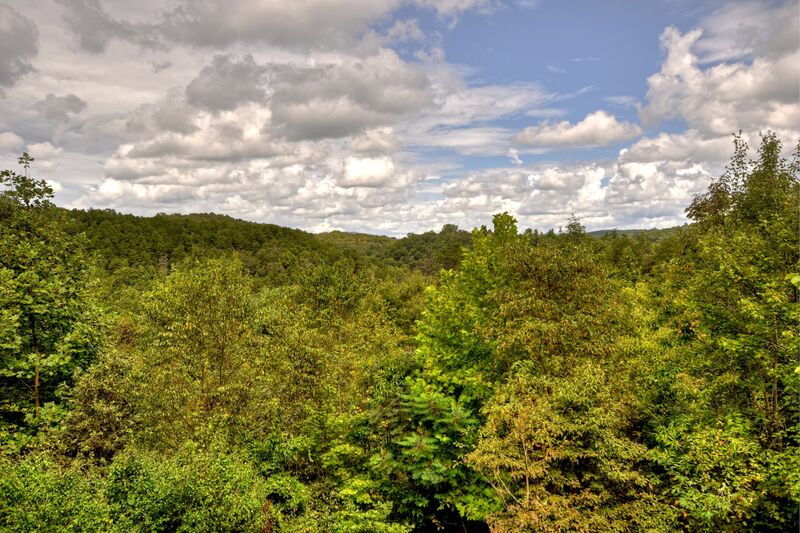 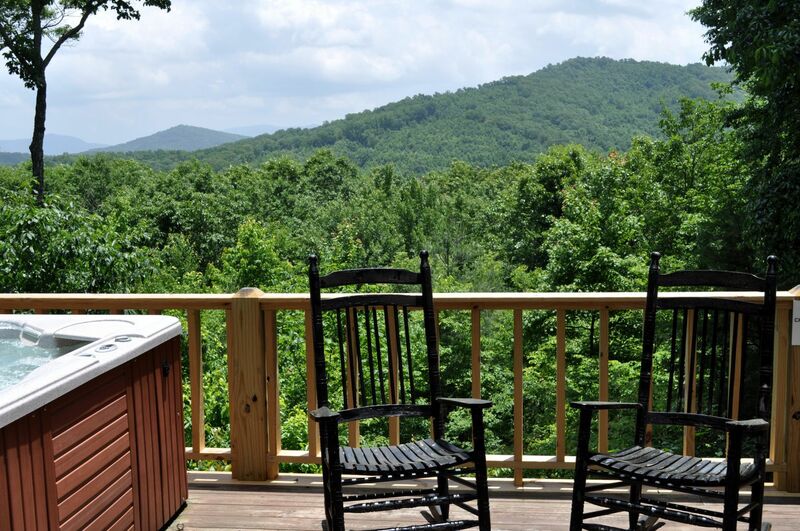 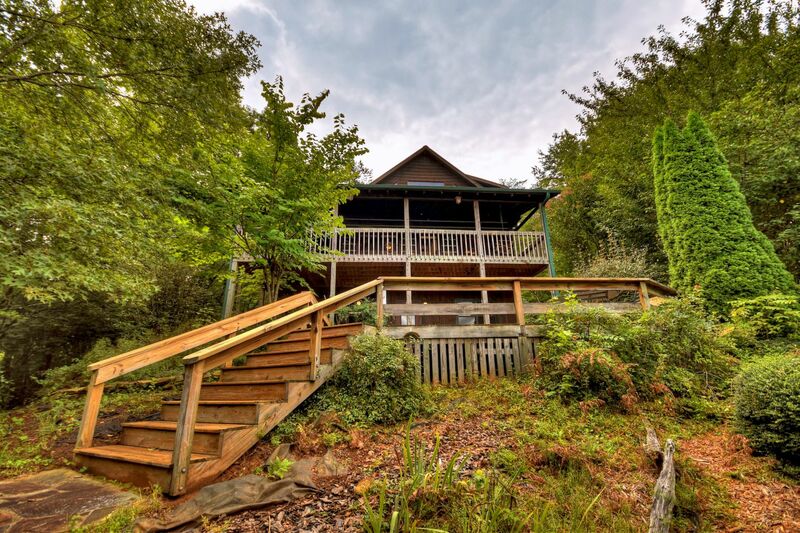 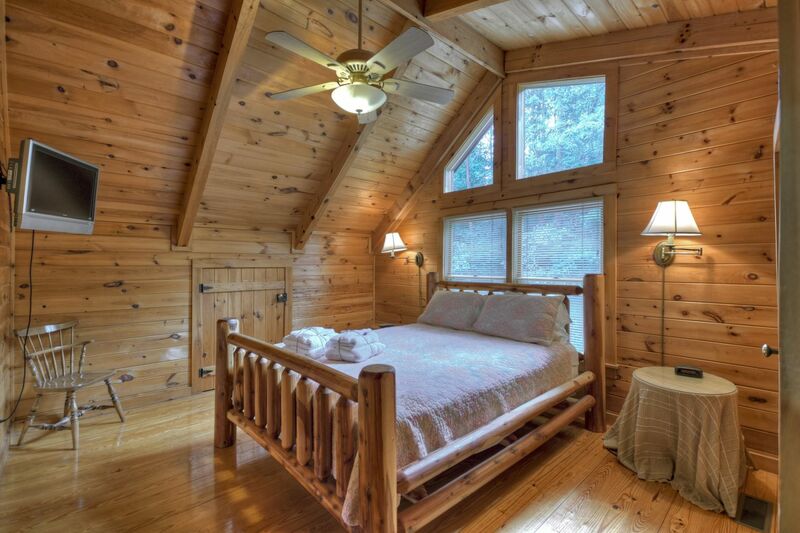 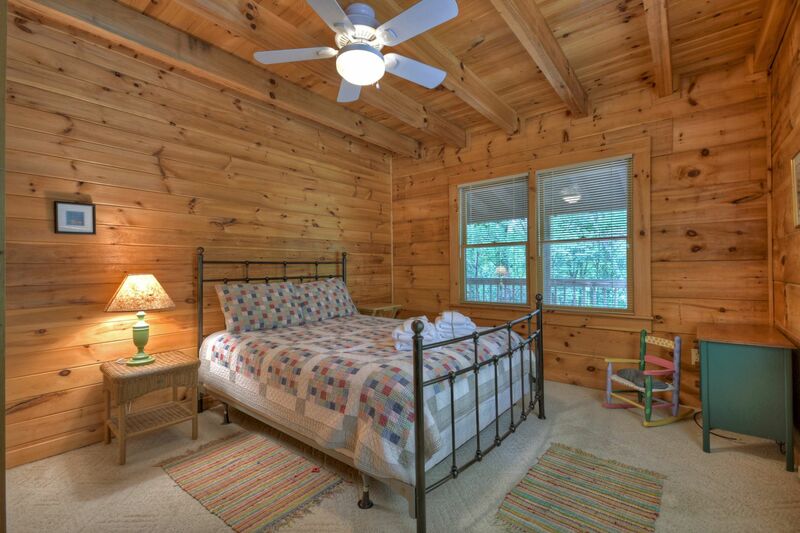 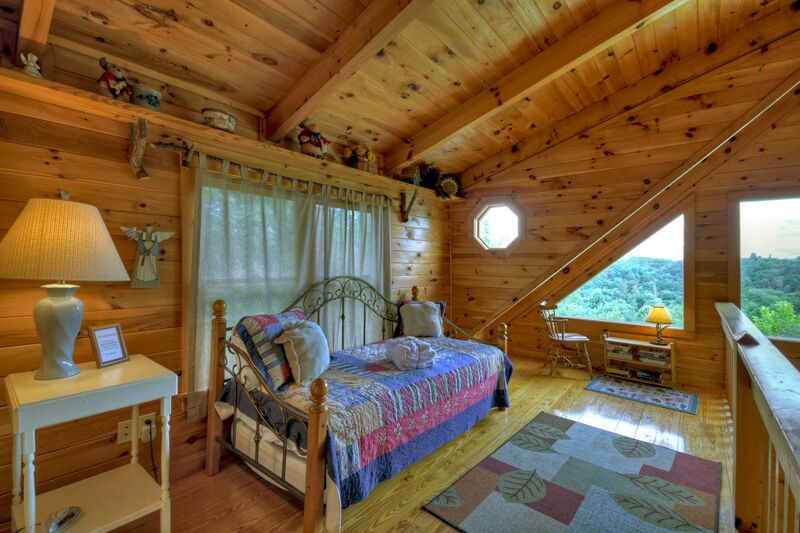 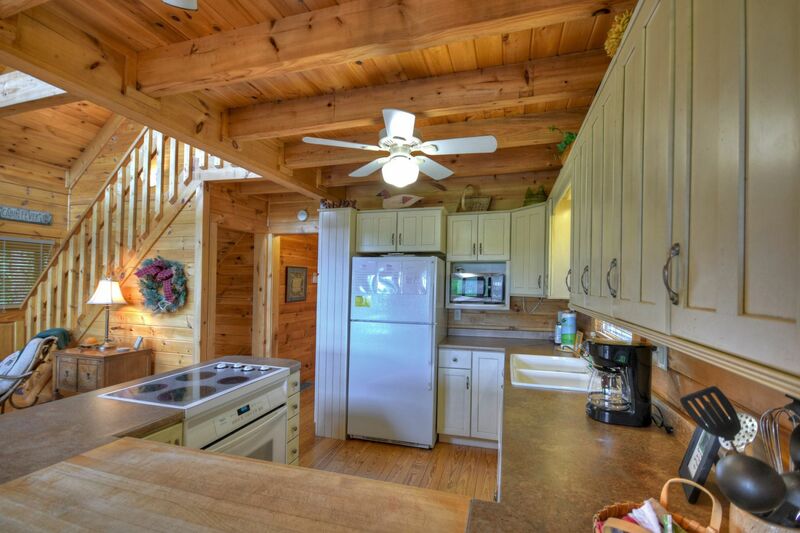 This Toccoa River cabin rental is a charming cabin with plenty of sunlight coming through sunlight through large windows. 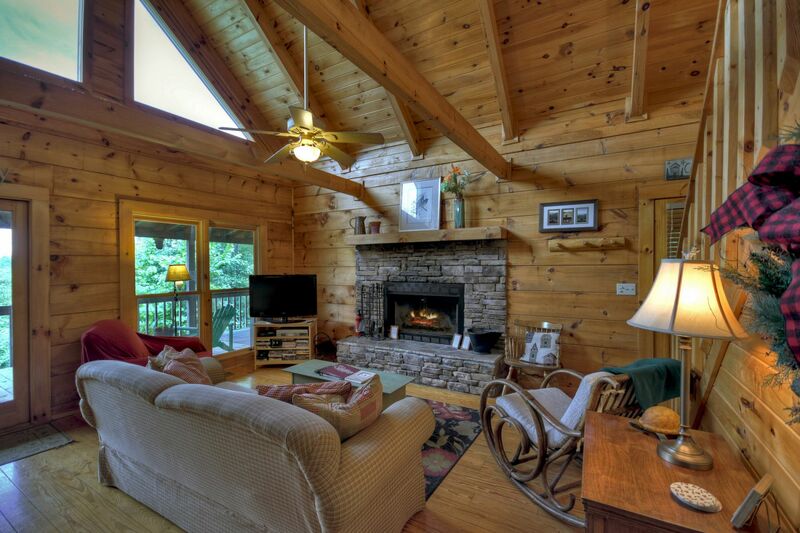 The spacious floor plan can comfortably accommodate groups up to eight people. 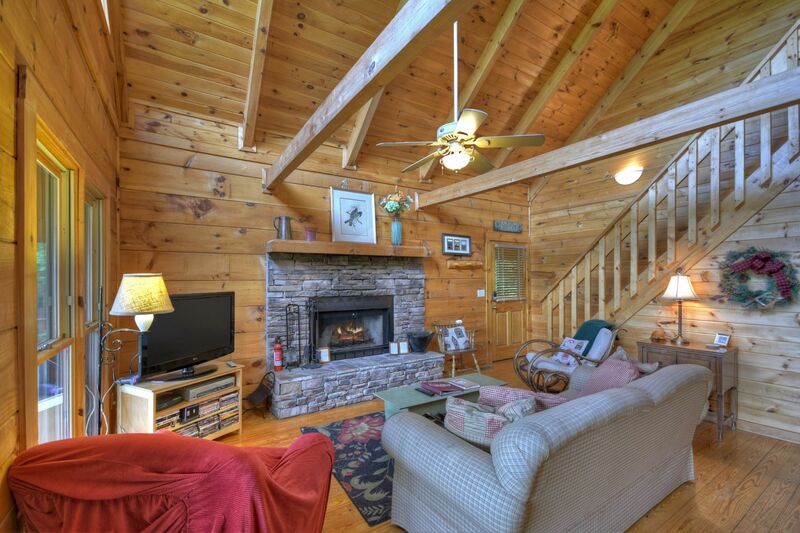 Read your favorite book in the upstairs book nook, with a comfortable rocking chair, and enjoy the authentic wood burning fireplace. 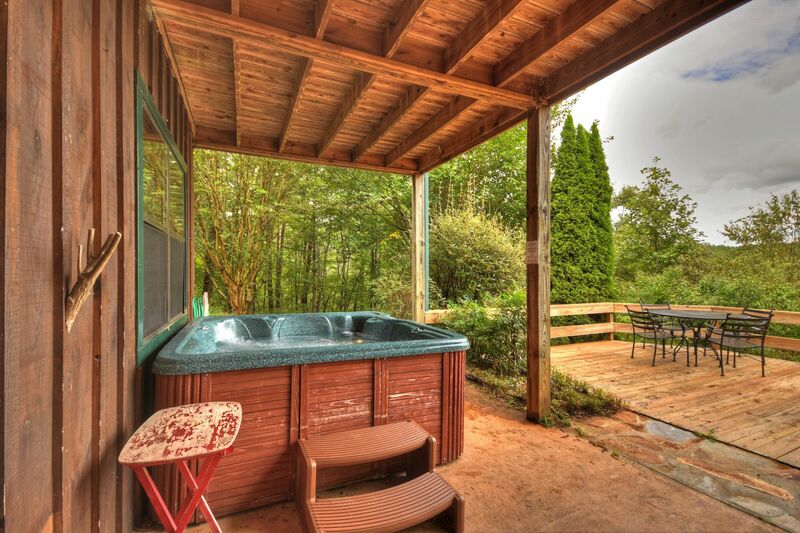 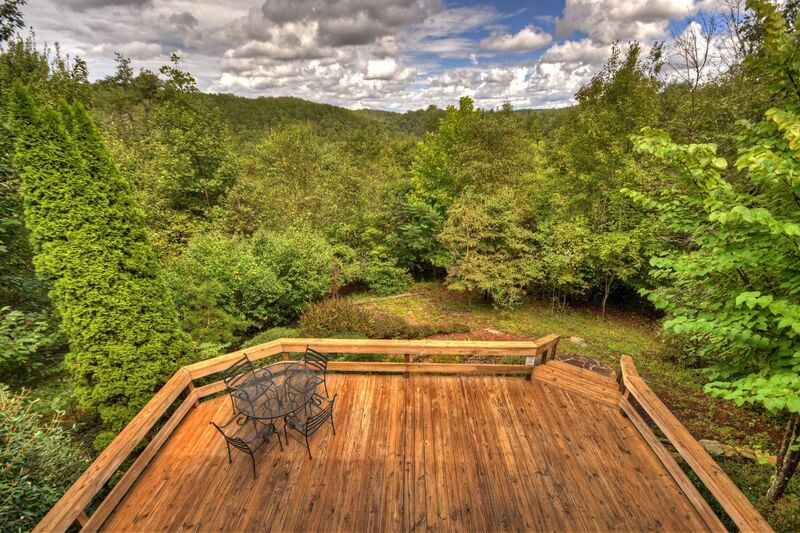 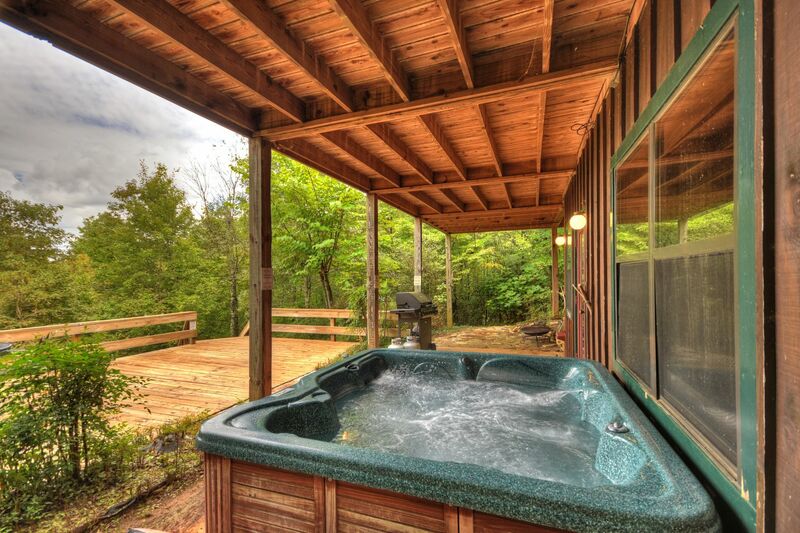 In the evening, sit outside around the fire ring for roasting marshmallows, or take a dip in your deluxe hot tub. 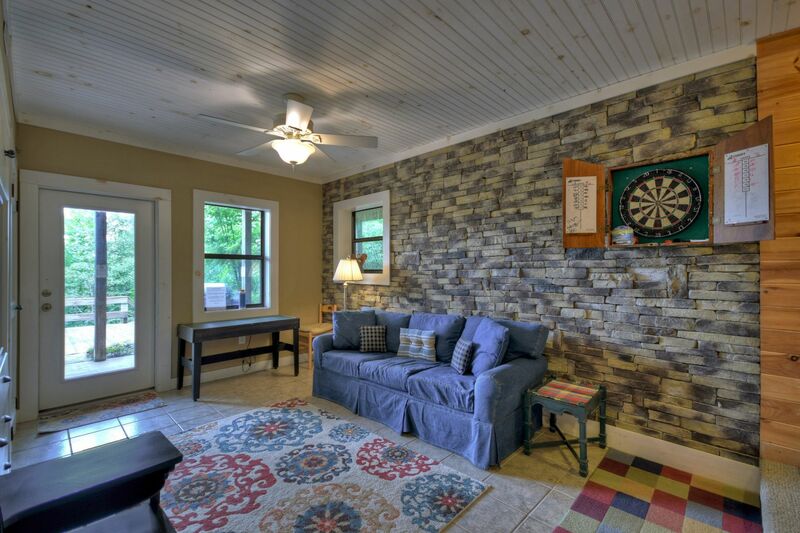 The kids and adults will have fun in the recreation room with foosball, air hockey and dart board, and a fully stocked kitchen nearby.